In the United States, we have paved over 160 billion square feet of land simply to provide places to park cars. Recognizing these asphalt areas as opportune places for energy generation, California-based company Envision has created the Solar Tree, a rotating structure that shelters cars while generating energy with photovoltaic panels. The Solar Tree can provide shelter for six cars while charging six EV’s each day. Later this year, Envision plans to build 2,300 Solar Trees in South Carolina that are projected to be able to generate 35 megawatts of electricity. Founded in 2006 by architect Robert Noble, Envision is a San Diego based business that offers a variety of solar technologies. 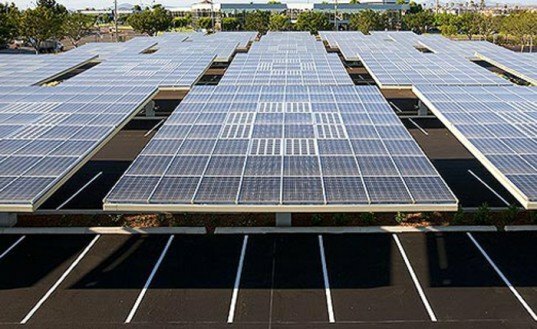 The Solar Tree stands as their flagship product, and is touted as an innovative way to generate electricity while improving the aesthetics of a parking lot. Each Solar Tree can accommodate six cars, and can rotate in order to capture the maximum amount of sunlight. The tracking system is guided by their proprietary EnvisionTrak, and energy is stored in Axion batteries. The company specializes in installing “solar groves”, or large-scale forests consisting of their Solar Trees. Later this year, the company hopes to begin a project in an undisclosed location in South Carolina in collaboration with Horizon Energy Group where they will install 2,300 hundred trees to generate an impressive 35 megawatts of electricity. I hope this spreads to other states but when it arrives in S. Carolina we get another article when it launches. In the United States, we have paved over 160 billion square feet of land simply to provide places to park cars. 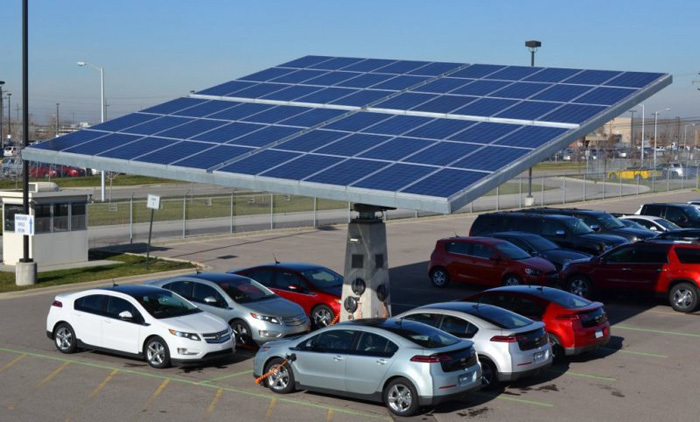 Recognizing these asphalt areas as opportune places for energy generation, California-based company Envision has created the Solar Tree, a rotating structure that shelters cars while generating energy with photovoltaic panels. The Solar Tree can provide shelter for six cars while charging six EV's each day. Later this year, Envision plans to build 2,300 Solar Trees in South Carolina that are projected to be able to generate 35 megawatts of electricity.